See also the Rocview Toolbar. If the Rocview is not connected to a server or it should be connected to a different one it can be setup with this dialog. Disconnect from the Rocrail server to be able to edit locally offline. Modify Rocview settings explained in chapter Configuration. 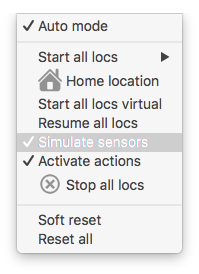 This menu item is in the Rocview menu under Mac OS X. Most settings are explained in chapter Rocrail configuration. Note: This option is only available if Rocview is currently connected to a Rocrail server. Opens a Sub menu to chose the User Trace level of the Rocrail server. Changes the track Plan title and notes for the current layout. Opens the Demo Workspace, saved with the installation. The last 10 Workspaces are listed for activation. Exporting and importing Workspaces can be used as a copy for a new computer, or as backup. Export the current active Workspace with all its sub-directories. The backup directory is excluded. Import a Workspace and open it. To create or open a track plan, respectively. Note: These options are only available if Rocview runs offline, i.e. is not connected to a Rocrail server. Saves the current track plan. Tip: The track plan is automatically saved if Rocview and Rocrail are quit. Saves the current track plan under a different name. Note: If the plan is saved under name different from the current one the path to the file has to be adjusted manually in the rocrail.ini or from the Rocrail properties menu and the server has to be restarted. The level active / visible in the track plan can be saved as an XML file (level name.xml). A file dialog opens in which the suggested name and the location can be changed. Note: Level names should not contain characters that interfere with path names, like "/", ". ", etc. A file dialog opens for selecting an XML Plan file to import a level. Note: In order to prevent multiple layers from being mixed in the target plan, import files must not contain a complete track plan, but only one level. For the import of multiple layers, they must be stored individually in separate files. 1. Open the track plan containing the desired level(s) in Rocrail. 2. Select the required level by clicking the corresponding tab. Print the selected level or Modular Plan. Analyses the current track plan. The current plan on the server will not be saved after an upload to make it possible to update it. The Rocrail server saves the received file with the name specified in the plan file in its local work directory. The new plan will be used after it is changed in the General Tab and the server is restarted. 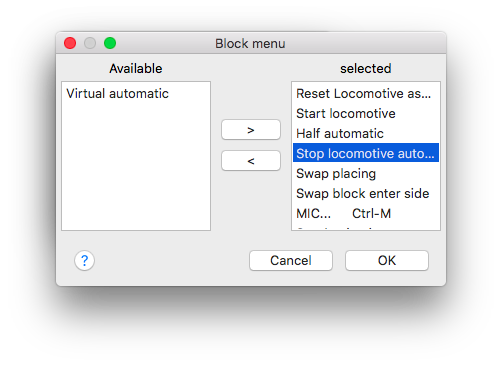 This option is only available if Rocview is currently connected to a Rocrail server. Exits Rocview and subsequently the Rocrail server. Note: This option is only available if Rocview is currently connected to a Rocrail server and the server does not run in Console Mode or runs in a previously opened Workspace. Disconnect from server, if connected, and exit Rocview. The Undo Dialog is only available if there are deleted objects in edit mode. The Find and replace Dialog is available so common attributes, dialog fields, can be changed with one click. With the home action all locomotives with a Home location set, and which are not already at the home location, will get a command to run to the home location. The Finder will be used to find a path to the Home location. Start all locomotives available, or depending of the Start all filter, in the table. Start all locomotives stopped in a previous session. Allow with a mouse click to flip the sensor state. This is default but can be disabled to avoid accidents by an unwanted click in automatic mode. Enable or disable processing actions and XmlScript. This has no effect on the staging automation. Before using a reset command all locs should be stopped with Stop all locs command. All active objects will get a (soft) reset signal, and current block reservations will be preserved. All active objects will get a (hard) reset signal; block reservations will be reset too! This will also activate the Add item dialog. In this mode some mouse and keyboard actions are differently mapped as in Operate mode to be able to edit the plan. Also some context menus are different in this mode. Mode for editing modular layouts. 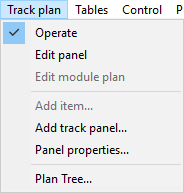 Open the Plan tree dialog. All object tables are listed and accessable in this sub menu. This will issue an Emergency Break command and switch auto mode off. If a Command Station does not support Emergency Break it will be translated into a Power Off command. In combination with server option Force unlock at Ebreak this could lead to chaos. To make sure all switches and signals have the right position this command flips them all twice. All defined signals will be sent a command with the last known state, or 'RED' If no state is available. For fully automatically shutdown and power off the complete system. After selecting this menu item a password is asked for powering of the system which only sudoers and administrators are allowed to do. If no password is provided the power off is skipped. Switch off the automatic mode. Wait until all locos are in idle state. The default EoD Timeout is 60 seconds. The clients will receive a shutdown event and will automatically close. All connected Command Stations become a halt command with optionally a shutdown request. If a password is provided a system power off will be initiated. If successful the PC will shutdown and power off. Some Command Stations accept Short IDs for use with throttles. Shows a resizable Fast Clock. The menu lists the last ten bookmarks as ID and tab name. The first menu item opens the dialog edit bookmarks . 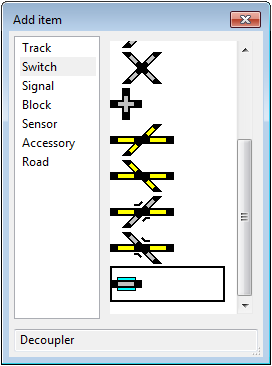 The displayed size of the track plan objects can be set. The zoom value is set automatically for all objects of the choosen Track plan level. 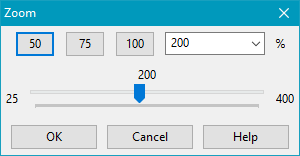 A slider movement or the buttons , ,  act directly or after entry in the Combo box. Disable this option to save resources. Select the visible loco types. 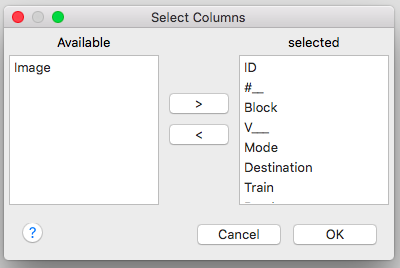 Select the columns to be visible in the Loco Tab. Columns in the left list are disabled in the loco tab. Select the menu items in the block context menu. Show the object IDs in the layout. Set switch background to light red in case it is locked. Set switch background to red in case it is pending. 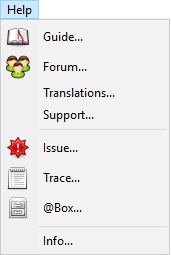 Opens the dialog Toolbar configuration to choose the symbols in the toolbar. Only available in case of Multi Window view and operating system Windows. The folllowing menu items are only available with Docking (AUI) view. Zoom and rotation can be saved for the track plan levels. An Input dialog for the name of the perspective opens. Saved perspectives are offered for selection in the submenu. default = The perspective used while closing the previous Rocview session; is automatically loaded at Rocview startup. Export or Import of perspectives in or from external xml files. This option is default activated. Deactivating hides the title bar of the track-plan windows, e.g. To arrange modules vertically seamlessly. The feature is not supported by all OS. Opens the Support dialog , which also shows the validity period of the support key. Tested with Ubuntu 12.04 and 13.10.